After repeated requests, Homeland Security Secretary John Kelly finally met with House Democrats over concerns about the Trump administration’s immigration enforcement. From the lawmakers’ perspective, however, it did not go well. House Democrats, especially members of the Congressional Hispanic Caucus, had been requesting the meeting to discuss the Department of Homeland Security’s immigration agencies for weeks. They also sought documentation from Immigration and Customs Enforcement (ICE) about the Trump administration’s strict enforcement of immigration laws. 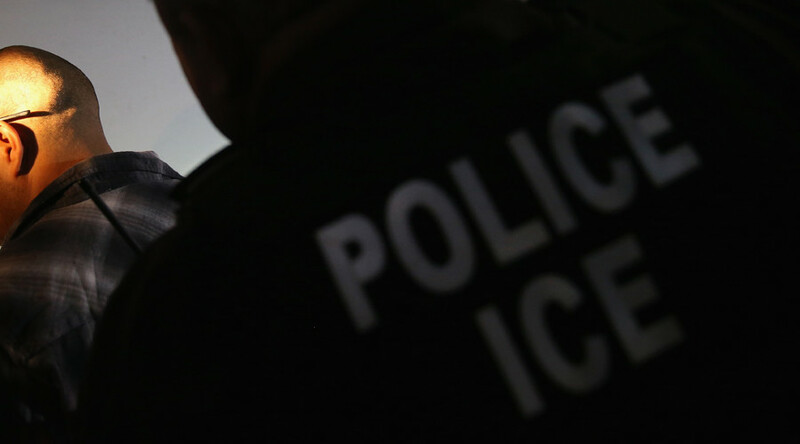 Prior to the meeting, neither DHS nor its ICE agency responded to lawmakers’ written questions, Congressional Hispanic Caucus Chairwoman Michelle Lujan Grisham (D-New Mexico) told reporters afterward. They have “not even [sent] a form letter saying: ‘We've received your inquiry,'” she said. "We have never seen that level of complete ignoring of members of Congress' inquiry," Representative Linda Sanchez (D-California) said, referring to her prior experiences with both Democratic and Republican administrations. "To not even get a response…we feel we are sending letters into a black hole." Kelly previously cancelled the meeting with House Democrats several times before finally heading to Capitol Hill on Friday. The meeting began with a “very, very, very brief opening statement and then opened to questions, which we appreciated,” but the secretary was “dismissive” of lawmakers "as though they were plebes or cadets," Democratic Caucus Chairman Joseph Crowley (D-New York) said. One of those questions was about children who were brought to the US illegally and grew up here. "I can guarantee you we're not going after kids that are fully DACA-qualified," said Kelly, referring to the Deferred Action for Childhood Arrivals program implemented by President Barack Obama, according to Agencia EFE. "I'm the best thing that happened to DACA… it is still on the books." Yet he was not completely candid about DHS plans for the program, because he went “out of his way” and “left the door open” to using DACA application information for immigration enforcement purposes, despite Democrats pushing for a promise not to do so, according to Rep. Nanette Barragan (D-California). “I think that anything’s possible with this administration,” Crowley said. Kelly was open to equipping ICE agents with body cameras, in accordance with a bill introduced last week, but then told lawmakers DHS doesn’t have the money to implement such a program. "He mentioned that they just don't have the budget. We pushed back on that a bit," Lujan Grisham said. President Donald Trump’s proposed budget blueprint, introduced on Thursday, called for increasing parts of the department’s funding. Not all Democrats were disappointed with Kelly’s appearance, though. Rep. Juan Vargas (D-California) said that the secretary's demeanor left him hopeful that Kelly would strike the same tone with his boss. "That same pushback that everyone got and didn't like, I think he does that same pushback to the administration when it comes to DACA kids and others. Even though he was general-like in his demeanor and his attitude, that can be a very positive thing," said Vargas. One thing Kelly pushed back on was that he told lawmakers that DHS agencies were not arresting immigrants in “sensitive locations” like churches and schools, telling them that they were receiving misinformation, even though Sanchez said they had photographic documentation and witness testimony about such incidents. Kelly was very clear that courthouses were not included as 'sensitive locations,' she said. 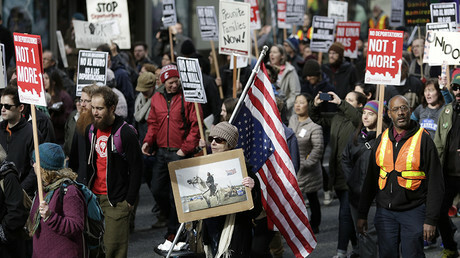 Judges across the country, including the chief justice of the California Supreme Court, have asked federal immigration officials to stop making arrests at courthouses.